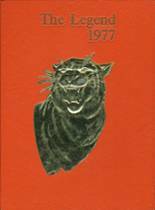 Listings of high school yearbooks for Stockbridge HS can be found below. You will find former students who are seeking yearbooks, those looking to sell a yearbook and general yearbook requests among the Stockbridge yearbook listings. This yearbook section was created to help alumni post yearbook classifieds. I actually graduated a year early, so my original graduation year would have been 1975, therefore either year would be acceptable. Thank you. Please email with opportunity for me to purchase!